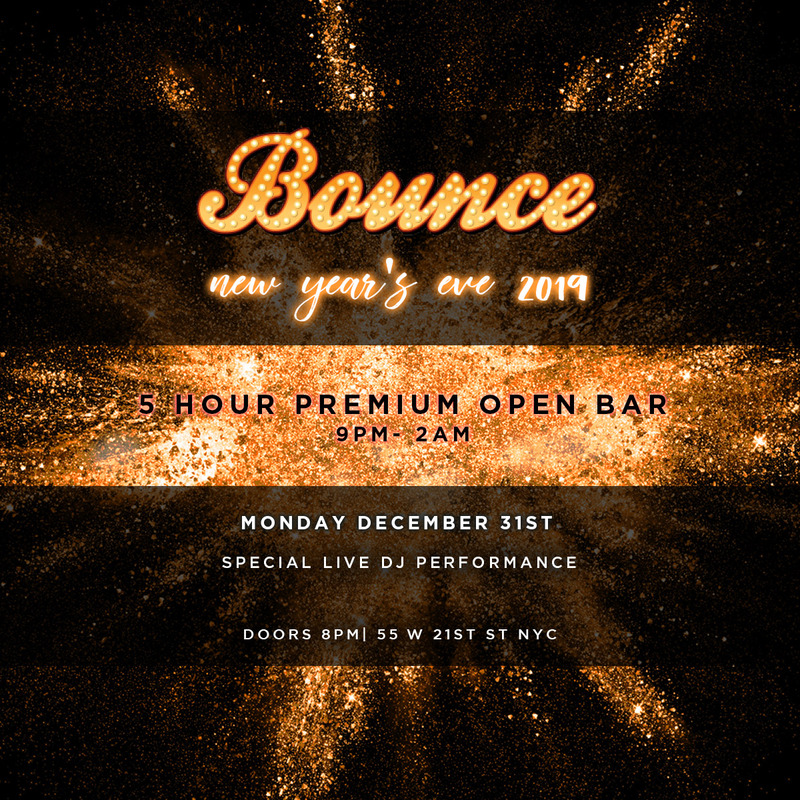 Experience your NYE at River North’s captivating new venue, Bounce. 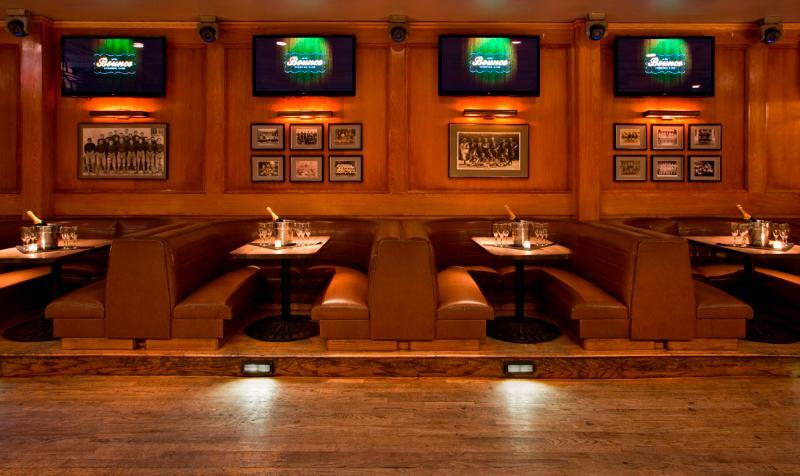 Known for its upbeat spin on Chicago’s conventional nightlife, this venue creates an unruly atmosphere where socialites meet renegades. 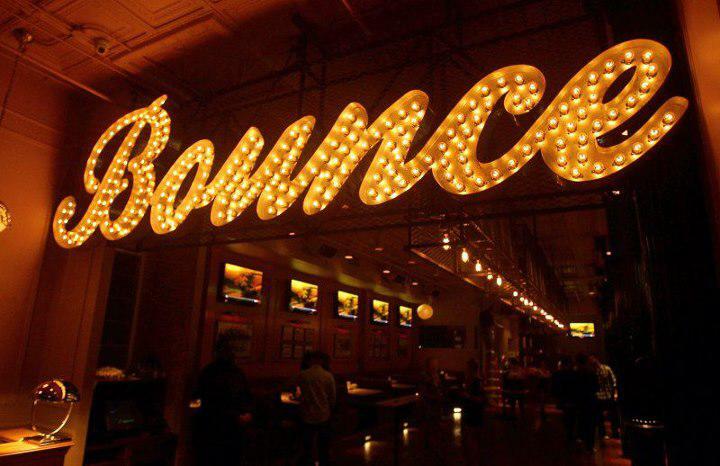 This NYE, indulge in a carefree, high spirited night at Bounce’s electrifying celebration. Celebrate the end of the year with bubbly drinks at the four-hour premium open bar. Move to the beat of the music on the dance floor with non-stop hits from a live DJ performance. As the New Year approaches, gather your companions and raise your glass for a midnight toast along with a live DJ countdown. Join in on the excitement and enjoy a live television broadcast of the ball drop in Times Square and live DJ countdown. 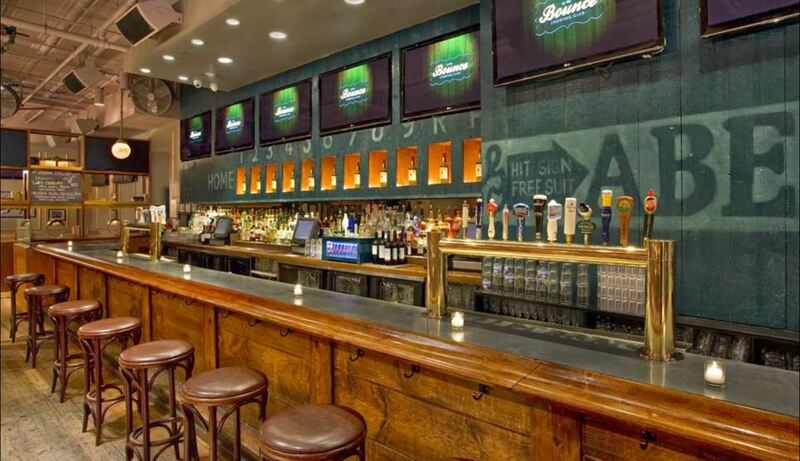 Bounce’s plush blue leather bar stools, beautiful hardwood floors, and stunning low hanging lights create the perfect environment to let your uniqueness shine. Dig into an early-evening buffet in this one-of-a-kind novel venue, and enhance your evening with one of Bounce’s VIP packages. 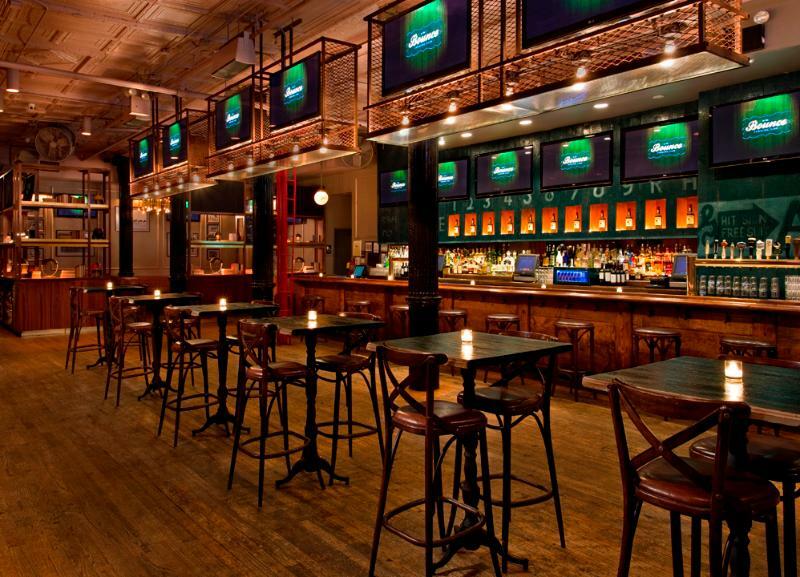 Co-founders Yosi Benevenisti and Cole Bernard opened Bounce’s first location in New York City. 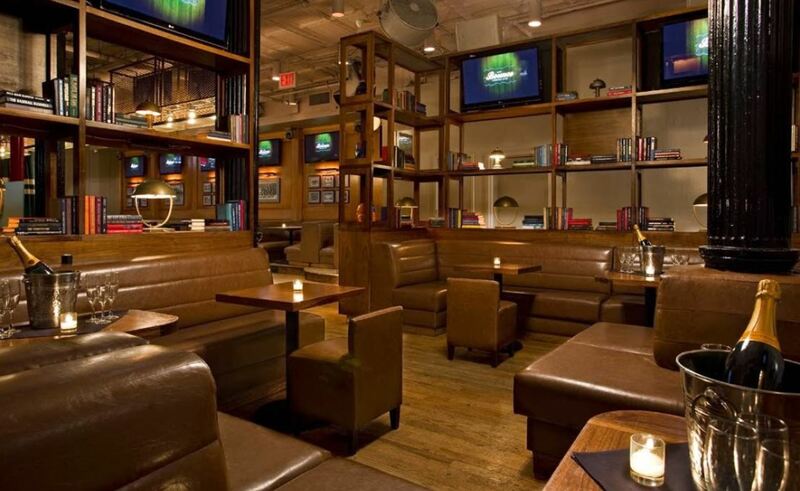 Their desire to stray away from the traditional bar scene sparked the creation of this leading-edge venue. 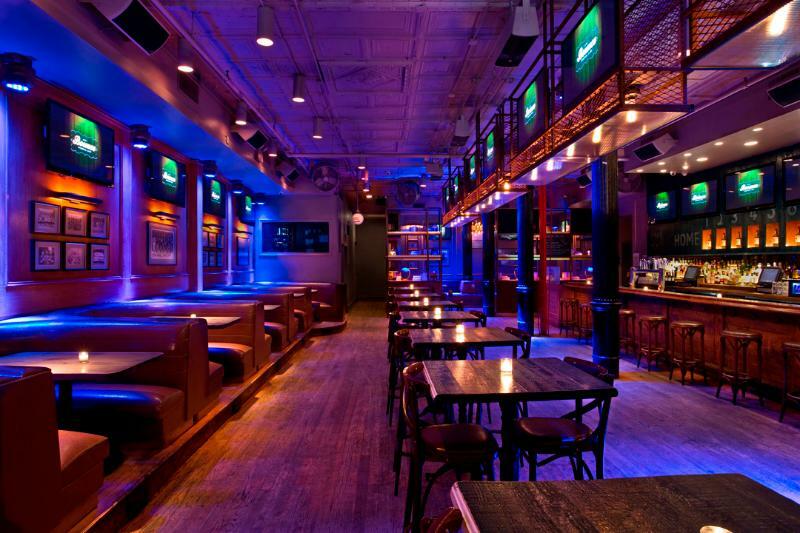 In 2017, they opened Bounce’s second location in one of the world’s most well-known nightlife scenes, Chicago. With performances from Fetty Wap and guests like Rick Fox and Larry English, Bounce has hosted some of Chicago’s hottest events. This NYE, experience its creative style, you won’t regret it.